If you're reading this, you probably know that we announced that baby number 3 is on the way! I'm so incredibly excited, and I can't wait to share more about my pregnancy and baby favorites. Fun fact about me, I LOVE all things baby. I am a baby gear hoarder, and I just love everything about the baby stages. I had a brilliant request to share my most popular and favorite previous pregnancy outfits and how to re-create them. Most of these items are sold out now as I wore them years ago, but I have searched the Internet for you guys so that you can create these looks if you are currently expecting, and if you are, CONGRATS! First up, my most pinned and popular pregnancy style. This midi dress is still hanging in my closet, and I'm excited to take it out again this pregnancy! I found this at Forever 21. They have the best selection of stretchy knit dresses. I find that a midi length is extremely flattering during pregnancy and will elongate you. I go for the ribbed knit fabric as this will make you feel more confident in a form fitting style. Just throw on low profile sneaks, chic sunglasses and you're good to go! If it's chilly, I would layer a long cardigan, denim jacket, or even a trench on top. Next, the comfortable, practical, "I'm not a regular mom, I'm a cool mom" look. I love this because It's easy but I felt so confident, which is key when pregnant. Confidence, comfort, all of that is key. The goal is to embrace and enjoy your pregnant body. Most of my pregnancy outfits accentuate the bump, making it the main focus without trying too hard. Another favorite is mixing neutrals, and adding a blazer over a fitted sweater/shirt. This would be a great option for work, dinner, or even a casual day out just sub the low heeled booties, for flats! Another one of my favorites! This dress is so perfect for pregnancy and then after. It's non-maternity, but works amazing. I love this styled with a chunky cardigan, leather jacket, big scarf, duster cardigan, or on its own. Plus, it's crazy comfortable and you can show off that bump! Free people dress (old) so many beautiful ones this year that will work with pregnancy. This is my favorite brand if you are pregnant in Spring and Summer. 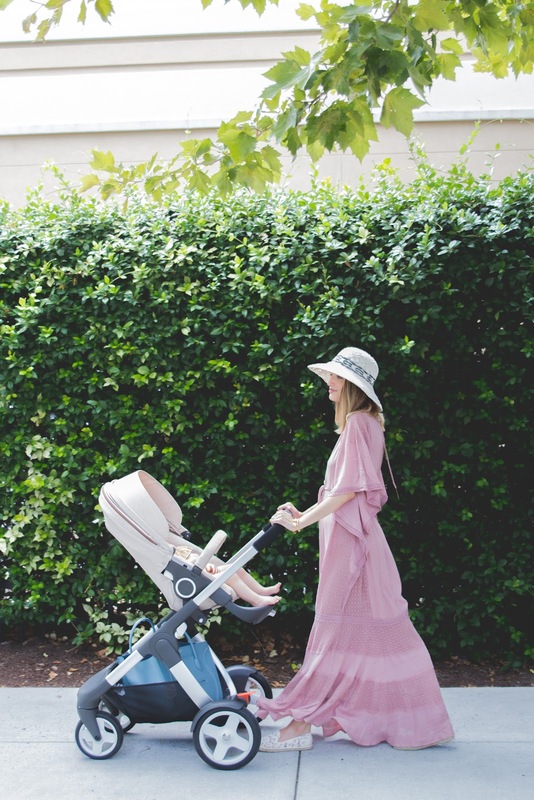 Shop all my suggestions for maternity style below! I've linked pieces that are non-maternity that will definitely work while pregnant, but practical because you can wear post baby! Don't worry, I'll have plenty more posts coming up soon. This pregnancy has given me life again, literally. I feel inspired with my blog and just everything in my life feels so good. Thank you all so much for sticking with me, and following along. The support and kindness means the world to me. Such chic momma to be outfits! I wanted to thank you for this great read about this Elevator Pit Waterproofing topic. I definitely enjoying every little bit of it.I have you bookmarked to check out new stuff you post. Your style is so cute, I love the maxi dress on you! I personally love your beautiful pregnancy outfits. They are cute and cool. Incredible blog by you.